OSWEGO, NY – First graders of Bridgett Krawczyk at the Charles E. Riley Elementary School had a unique experience. The youngsters were working on an animal unit learning about habitats, adaptations, diet and babies. The culminating activity resulted in a presentation of an animal by using Publisher book, a PowerPoint or Prezi. 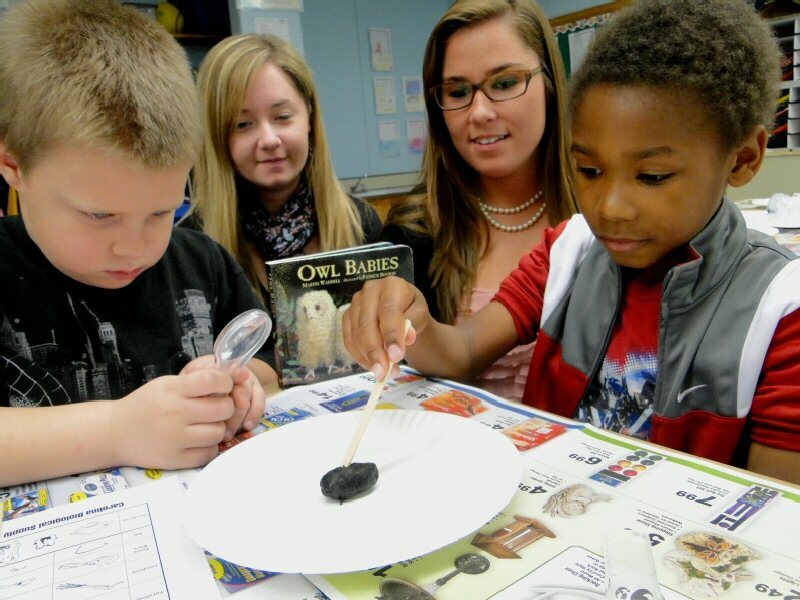 Zachary Thomas and Isaiah Henson prepare to dissect an owl pellet as SUNY Oswego Practicum students Kaitlyn Brewster and Leah Fox look on.